CRN® recently published the 2019 list of highest achieving IT solution providers in vendor certifications. QualityIP, the Managed IT Services leader in Northeast Ohio and Southwest Florida, announced the company made the 2019 Tech Elite 250 list this year. The annual list from CRN, a brand of The Channel Company, recognizes top Managed Service Providers (MSPs) in the United States and Canada who have attained the highest-level certifications from those industry vendors known for their innovative technology solutions. QualityIP has distinguished themselves with multiple, top-level IT certifications, specializations, and partner program designations from leading industry technology vendors. CRN identifies the most customer-beneficial technical certifications in the North America IT channel. MSPs selected for the Tech Elite 250 have shown their dedication to delivering premium products, services, and customer support by completing the training necessary to achieve the requirements of each partner program. 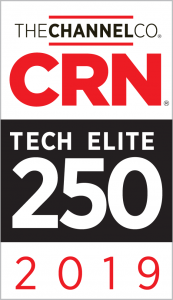 Coverage of the Tech Elite 250 is featured in the April issue of CRN online. See the Press Release on PRWeb.